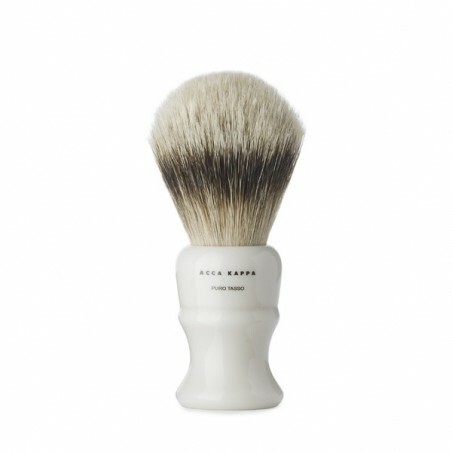 Acca Kappa Silvertip Badger Hair Shaving Brush. 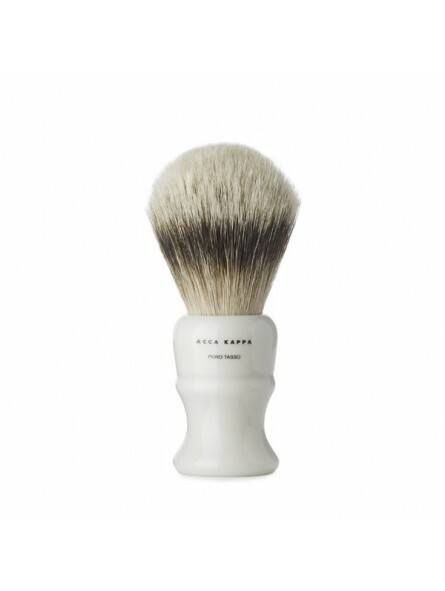 This brush features a resin handle that is comfortable to hold that has been polished in an elegant ivory. Handmade using high quality materials that have been carefully selected to the highest standards. The bristles are natural silvertip badger hair. This brush is elegant, balanced and has a practical design. The brush goes through a rigorous process making it an excellent brush. The brush is polished and treated with natural wax ensuring that the vibrant, natural colours don't fade. Each brush has a serial number and quality certificate to ensure authenticity.